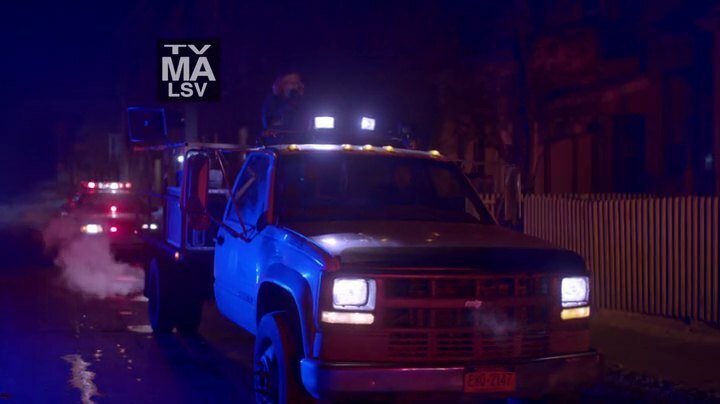 IMCDb.org: 1997 Chevrolet C-3500 HD [GMT455] in "The Strain, 2014-2019"
"Double grille" under the main one and wheel rims with big holes indicate a 1991+ C-3500 HD. Here with the 1994+ grille indeed, as it was already set. Also, the non flush door handles indicate "HD". Perhaps to accommodate ease of use while wearing bulky work gloves. It has the 1997+ dash with the passenger-side air bag. [GMT455] is the chassis code for the HD Chassis cab versions.